The Mom Standard: Cemetery of Forgotten Books...in Crest Hill, IL! Cemetery of Forgotten Books...in Crest Hill, IL! I found it! Yes, I found the holy grail of used book stores. The Book Market in Crest Hill! Walking in you are immediately greeted with that distinct smell of old words on yellowed pages. There are stacks and stacks of books all over the place! The building is literally bursting at its seams with books. I found some that I had as a child, I found ones that I'm going to trade in some of my used soft-covers for. This is a bibliophile's Walt Disney World! 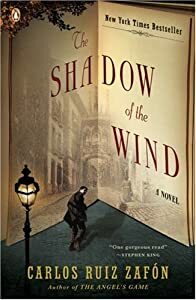 If you are wanting to experience your own Cemetery of Forgotten Books [Shadow of the Wind by Carlos Ruiz Zafon] I suggest a trip to The Book Market. There is a book in there that was calling for me...I'll be sure to go back and save it! I lived in crest hill and passed those stores all the time!